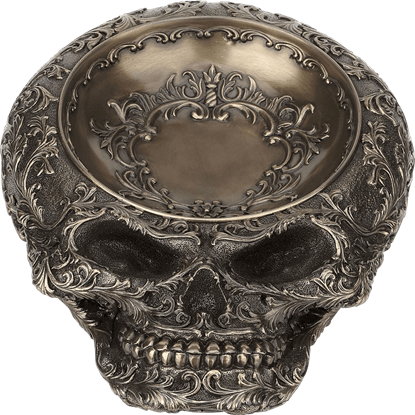 Whether you want to display a few trinkets openly on your coffee table, a unique tray to drop off your keys and such when you come back home, or a decorative bowl to add a touch of personal style to your interior design, our selection of decorative bowls and trays has what you need to do so with medieval, gothic, or fantasy flair. Our decorative trays and bowls are intriguing additions to your personal surroundings, and we carry quite a range of styles. Show your more macabre side with human skull bowls made of cold cast resin. 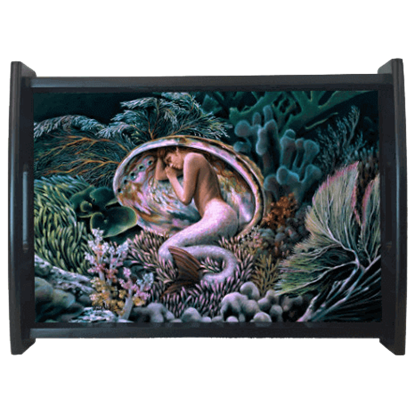 Or invoke elegance with mermaid and fairy decorative bowls. 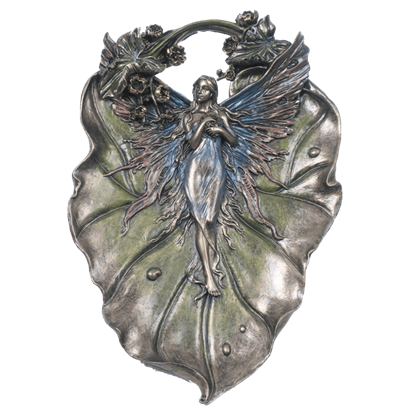 We offer Celtic dragon trays and fantasy artwork trays as well that are great for displaying like works of art or placing on tables and desks. Our Wiccan offering bowls and scrying bowls also call this category home. If you have been searching for a decorative bowl or tray that fits with your personal style, you have come to the right place. The Anguistralobe, a device from steampunk science used to map the chronological points of alignment of the planets. The body of this tool is oddly dish shaped when seen by itself, so why not have an Anguistralobe Trinket Dish? Autumn reveals some of the richest tones of orange and bronze. 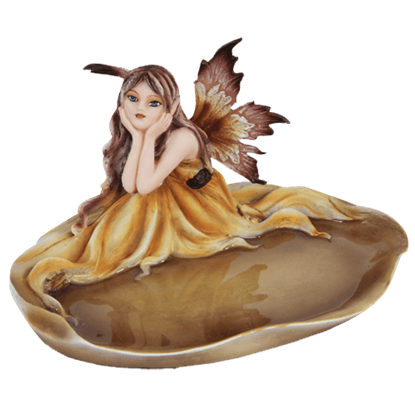 This beauty of fall is contained in the Autumn Fairy Jewelry Dish, which features a fairy sitting upon a dish to hold the jewelry of any collector. In the language of flowers, tulips can symbolize perfect love and fame, and pink tulips indicate affection and cherishment. 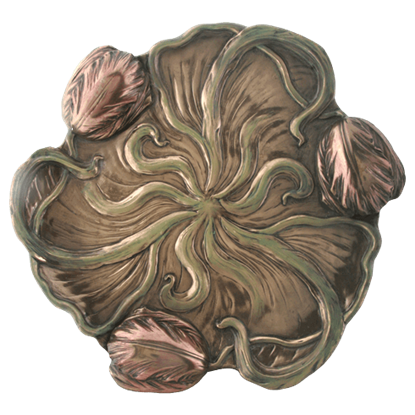 The Bronze Tulip Tray displays three pink tulips with leaves that spiral towards the center. 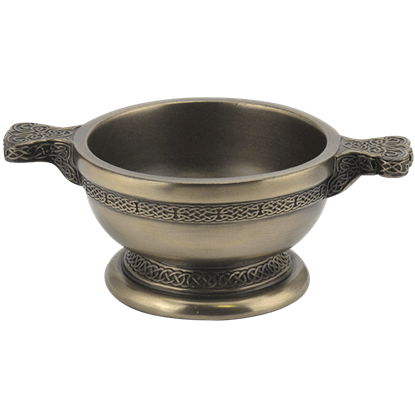 Cultural enthusiasts will love our Celtic Drinking Cup for its authentic interpretation of the drinking Quaich used by the Scottish centuries ago. 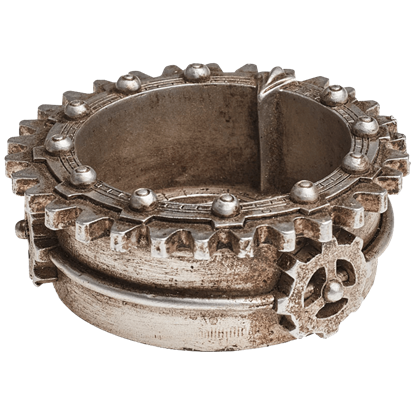 The distinctive Celtic knotwork lining the bowl makes this a unique item fit for a collector. No tea party is complete without fairies. Of course, for some adults, it may feel a bit odd to imagine sprites flying around your table. Luckily, the Chameleon Tray lets you incorporate that classic magical element in a more mature way. The Chinese Dragon often symbolizes auspicious power, strength and good luck. 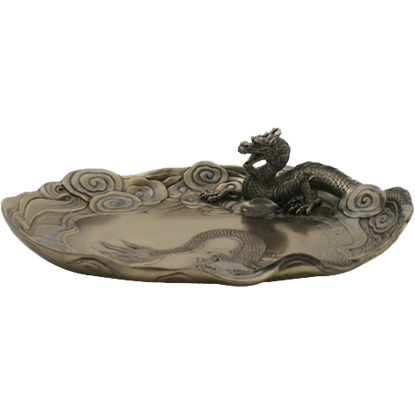 Our Chinese Dragon Dish depicts one of these creatures in mid flight through both etching and sculpture for a stunning look. 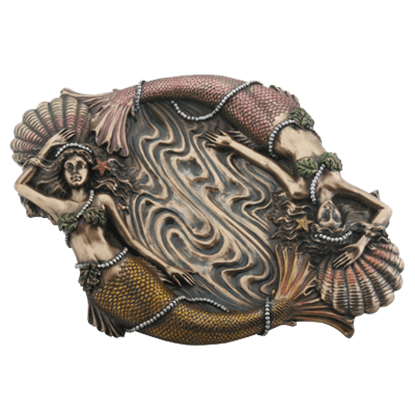 Mermaids are playful, whimsical creatures, as can be seen in the Double Mermaid Dish. This figurine depicts a pair of mermaids, idly swimming in a circle, while the water between them acts as a perfect place to keep any small items. The Eternity Tray provides a more unique look to your decor than a traditional serving tray. Featuring lovely fantasy artwork by Sheila Wolk, this distinctive and functional tray is a great piece to use for appetizers and drinks. This pretty fairy takes the time to lay back and relax, creating a great new decoration for all to enjoy. This Fairy on Foliage Dish features vibrant color and huge detail, which are qualities that are sure to draw the eye. 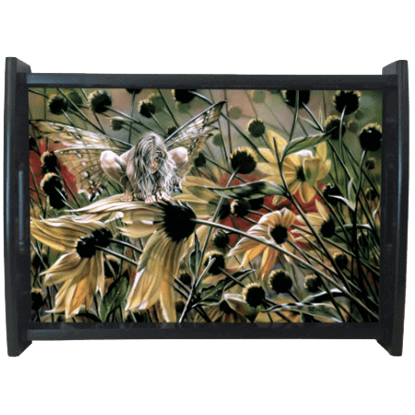 The Field of Dreams Tray is a functional serving tray featuring artwork designed by renowned artist Sheila Wolk. 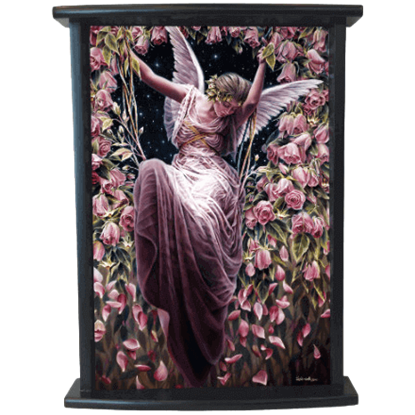 This attractive piece of home decor is made of high quality cold cast resin and hand painted for extra care and detail.